Last Year's N64 Trademark Has Finally Been Approved, ﻿﻿N64 Mini On The Way? Back in July 2017, we reported on the fact that Nintendo had recently filed a trademark application for the Nintendo 64 controller in Europe, leaving fans dreaming of the possibilities of an upcoming Nintendo 64 Mini console. Now, new information has come to light which shows that the trademark has finally been accepted, and it's pretty easy to be convinced that the miniature system is indeed on the way. Let's kick things off with the application itself. The trademark has been filed with the European Union Intellectual Property Office, clearly showing a black and white image of an N64 controller (which you can see above). This trademark was "registered and published" on 30th August 2018, after having its application originally received on 18th July 2017. Of course, trademarks are resubmitted on a regular basis for all manner of reasons, as companies such as Nintendo keep on top of their precious property, but the design of this particular application appears to be giving the game away. The image below shows another recent trademark of a NES controller - once again in a black and white, simplistic style. This trademark was also submitted through the EUIPO and has already been published. So where's the link between these designs and Nintendo's new range of miniature consoles? 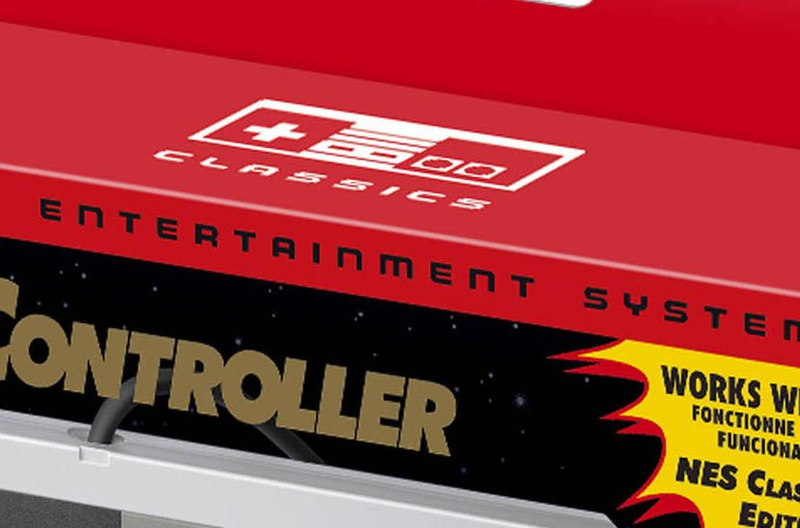 Well, take a look at the packaging of this controller for the NES Classic. 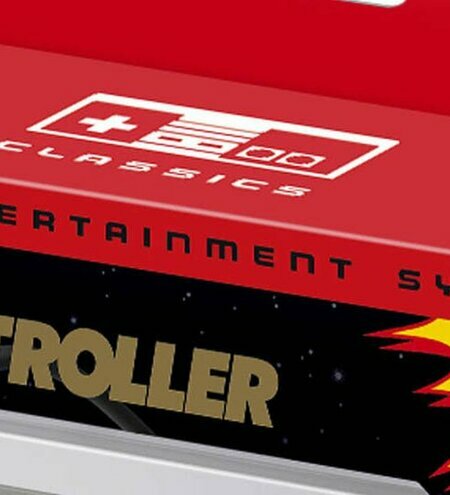 Right there, sitting comfortably on the top of the box, is the very same simplistic NES controller design (and it's the exact same situation for the SNES Mini, too). Could we end up seeing N64 Mini boxes using a similar layout? It certainly seems like a strong possibility. As with any case like this, until Nintendo confirms that an N64 Mini is - or isn't - in production, it's impossible to be certain. The signs are certainly pointing towards a new release, though, and we'd put our money on it becoming a reality in the not-too-distant future. Of course, with Sony's recent announcement of its own PlayStation Classic, it would be amazing to see the two consoles battling it out in stores once more. Do you agree? Can you see an N64 Mini hitting the market over the next year or two? Feel free to share your opinions on this one below. YEEEEES! Didn't buy the NES or the SNES mini but I will be ALL OVER the N64 Mini. Here's hoping it has a healthy catalog of games! Add Pokemon Stadium, and preload it with a GB Pokemon game or two. Let it be so! I need some classic controller versions of the Trident. This is one of the few consoles where I don't need the system to fill in the back catalog as my N64 collection is about where I want it but I will still get this for the controllers alone. If its true of course. @Yosheel Maybe it would be better with Pokemon Snap and Puzzle League. It seems like the only legit way to get Puzzle League action going, is with Ash, Pikachu, Misty, Brock, and even Team Rocket. @YoshiAngemon let a man dream! I know they won't want people to play a full pokemon rpg game on this. How about instead of making classic editions to milk money out of consumers Nintendo actually adds the games to the online service? Sooo, what games should we expect (and how many assuming it uses the same boards as the previous Minis?) There are a few obvious ones such as Mario 64, Mario Kart 64 etc. But I hope it's not just Nintendo first party games if it does become a reality. This could also be for Switch Online, or a dual release. So many other games I'd want to see. Because SONY just announced the Mini PlayStation right after the launch of the Online Service for the Switch, with 20 games (what a coincidence ^^), Nintendo has to counter that. It's a shame a N64 Mini didn't come out this year, would've been cool to see a PS1 vs. N64 rematch. Wherever there's smoke, there's fire. This is pretty interesting, but I personally want a game boy classic. If the N64 mini is to be a thing, then Nintendo need to 'survive together' with Microsoft to bring Rare titles (including Goldeneye) along for he ride. Finally, a version of Mario Kart 64 worth owning! Seriously though, in the wake of the PlayStation Classic's announcement, this is great news. In a couple years we'll manage to shrink our childhood's dream bedroom in a suitcase. Plug 'n' play versions of nineties consoles can't be a bad thing in the slightest. Also, there's the remarkably poor choice on Sony's part to reveal only five out of their twenty games on the PSClassic in the announcement trailer. Your move, Nintendo: the goalie isn't keeping any goal, so it's time for you to score an easy one! I hope they give M$ whatever is required to get Banjo and Banjo-Tooie on this thing... also, Diddy Kong Racing. Beetle Adventure Racing would be great but 0% chance that’s ever released again. An N64 Classic would be cool....but I kinda just want ~20 N64 games added to Switch Online. Also got to get the licence issues sorted out if they are going to release it with its top tier game (Rare) no Goldeneye,perfect dark,banjo,blast corps,diddy Kong may also be an issue. Those are some huge hitters right there. @justin233 Microsoft has been playing well with everyone lately. It’s not impossible! @Cobalt Goldeneye, Conker and Banjo are all impossible (or at least incredibly implausible) due to licensing issues. As for the several people that mention Mario Party, it's no coincidence that the first game has never appeared on any Virtual Console platform or in the form of a remaster. The controversy over "blistergate" was simply too big and Nintendo always focuses on MP2 and MP3 over the first one. @GrailUK Microsoft got the Bond license for Forza Horizon 4 and they have Rare so maybe it's possible if other Rare games come? WWF No Mercy 2000 is like the final boss of licensing issues. 4. Benoit (plus a load of other wrestlers in the game who have since died in tragic circumstances). I think it's safe to say hell has more chance of freezing over. @Akropolon You know, do not underestimate the business talks that, especially Nintendo and MicroSoft have together ! Do not make that mistake ! For so many people I know, Goldeneye is like 90% of their N64 nostalgia. If it's not included, they're going to have to put a sticker on it like: "Warning: This does not include Goldeneye!" @Grumblevolcano I hope so. Rare propped up the N64. They deserve the limelight on the classic console. Hopefully this means someday they will put n64 games on switch! @iLikeUrAttitude They are in a precarious position to do both, you know. @Cobalt Oh, I could totally imagine a Marvel/Sony situation for Nintendo and Microsoft. Nintendo's allowed to use Banjo Kazooie/Tooie in their original forms, handing over a sweet 40% or more of the profits to Microsoft. Microsoft meanwhile can use the new interest in/enthusiasm for the Banjo franchise to announce a new title. Not excluding this possibility at all, but I do find it somewhat implausible. But hey, stranger things have happened. @Akropolon Like Cross-Play in Minecraft, and the use of Banjo-Kazooie skins in the Switch Version. Put Harvest Moon 64 on this and I'll buy, anything else is gravy. @NintendoFan4Lyf Probably too many Mario Partys there, but I get your point: first-party only. I guess it will be 20 games, mostly first-party, I hope Paper Mario is included (this entry is the one I still haven't and is really expensive), and I say it's going to be 90 euros with 2 controllers too. In this case, though, controllers will be bigger than the console itself. If they want to keep them 1:1 as they did with NES and SNES Mini, that is. @YoshiAngemon I'm aware of all of those things. I hope you're also aware of the difference between "buying an originally multiplatform franchise and not closing off money sources (Sony and Nintendo in this instance)" and "allowing the competition to use a 100% exclusive franchise". There's no Forza on PlayStation or Nintendo. No Gears of War. No Sea of Thieves. No Halo. Et cetera. Minecraft is the exception, not the rule, and this is only due to the fact Microsoft bought the franchise when it was already present on the competitor's platforms. I fully expect a N64 Mini to be on the way but if we see it before the second half of next year I will be very surprised. This is the same trademark filing that has been floating around for ages and is just Nintendo protecting itself, the fact it's just granted is more to do with European bureaucracy than any actual indication a companies plans are imminent. Nintendo has stated several time 2018 is a consolidation year for the Mini line with Reggie himself saying they were focusing on NES and SNES sales over the Christmas period, I don't see them throwing the 64 in at the same time. More likely we will see the SNES and NES withdrawn to make way for the N64, remember both previous Minis launched into the market on their own. I see the recent announcement of the PS Mini as making this even more unlikely. Why go toe to toe with Sony for the same market of nostalgia for the same generation. Let Sony have this Christmas whilst Nintendo focuses on 8 and 16 bit. Then the N64 will have next Christmas all to itself. So we gave NES mini, SNES mini, Sega Mini, Neo-Geo Mini, PS1 mini and now a N64 mini? I’m done with these. So many people will be disappointed with both the ps one and N64 classics. You think you remember them in all their glory, you think they play like timeless pieces of crafted genius, but unlike the SNES/Mega Drive era many of these games have lost their lustre. The beginning of the 3d era looks rough and in many cases plays even worse. It's a good history lesson for people who take for granted all the quality of life features packed into games now though. I won't be surprised by the system or whatever list of games will be included. I'm pretty confident in 20 games sprinkled with a few 3rd party games (no Goldeneye or Conker). What is going to surprise me is how Nintendo will issue the N64 controller. If history is an indicator, it would use the Wiimote controller port. That would be awesome for my on/off relationship I have with the Wii U. Also, the mini would need to be 4 player. That would mean controllers have to hit retailer shelves. And the controller has a port for memory cards and the vibration pack. Any 1, 2, or 3 of these and I will instabuy. Yeah it inevitable alright, complete with a selection of NES games, no voice chat, and Super Man 64 as the only native console game. Not surprised if this turns out to be true. However, even though I have fond memories of playing the N64 with friends and family members, I honestly feel that a lot of games from this generation have not aged well. This is just my opinion, but even though Mario 64 was the top of mountain back when it came out, I would rather replay Sunshine, the Galaxies, or Odyssey again before touching Mario 64. The same is true about Mario Kart 64. I just feel that 8 is superior in every single way. I'm not saying Mario Kart 64 is terrible, there's just a better version available. Plus, probably about a third of the games we all want, won't be on the N64 Mini because of license or who developed it. I know it's unlikely to have GoldenEye, but if they DID manage to get GoldenEye, I'd buy the N64 Mini even if that were the only game on there. @Cobalt Well I doubt Nintendo filed a Trademark over a year ago to counter an announcement Sony made this week... just sounds like a big coincidence to me. Plus what's with the "countering"? Nintendo don't make money by preventing Sony making it. Personally the only "must-have" game for me is Pokémon Stadium - it's been decades and we've still not had a good replacement for it. @Grumblevolcano Who says it isn't? @Arpie I agree. I'd go further though and say let PS Mini have the holidays and gauge its success. While the 8 & 16 bit gens were successful mostly due to nostalgia, they are also playable. When's the last time you attempted a play session on PS1 or N64. It really is a "rose colored glasses" scenario. While the 2D sprite games are fine, early generation 3D games have not aged well at all. They're really difficult to put any time in. At launch they'll fly off the shelves, but reality will set in real fast and I don't think these will have the lasting punch that the previous classic mini consoles have seen. It’d certainly be easier to grab more for 4 player thanks to Smash Bros Ultimate. 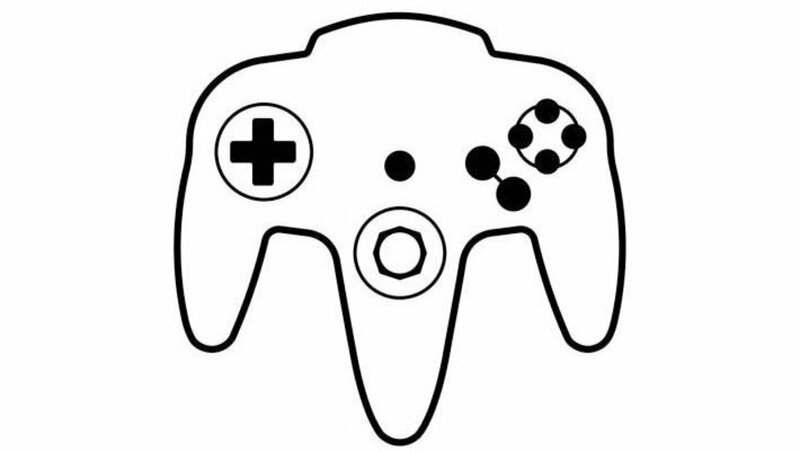 Or... it could these drawing could be the N64 controller icons on Switch's interface. NES this, SNES next year with N64 further down the road. I'm so over this from everyone although at least with Sony you can buy some of the games on the Ps4 instead of their mini. It's such a waste of space to me. Would rather have the games as part of NO, especially since most of the games I would want are on Rare Replay 30 and probably won't show up on here, or I already own them elsewhere. The only reason I would want an N64 Mini is b/c it opens up the possibility of a Gamecube Mini. 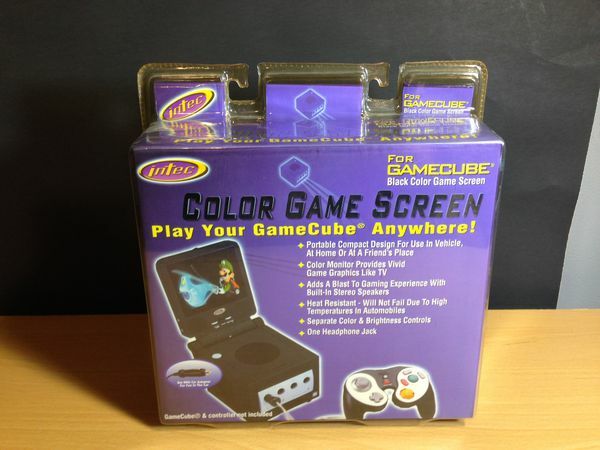 I'd rather have those on NO as well, but a portable Gamecube Mini w/ the screen attached would be kind of cool. And make way for a SwitchDS. That's not how trademark registration works. The application had been filed in July 2017, while Playstation mini was announced like yesterday. @Incognito_D Well, maybe for the Nintendo. But the SEGA Genesis started in 1988, after the Master System, with Altered Beast. I honestly feel like instead of a mini console, including n64 games on the online would be a better choice. Kazooie, Tooie, Perfect Dark and GoldenEye 007 will never happen on the N64 mini. Microsoft does not give (and never gave) a damn about re-releasing those IP’s on Nintendo hardware. mini over the NES mini. As long as it's got Majora's Mask on it, I'll be there on launch day. Will get this, the Mega Drive Mini, SNK Mini and PlayStation Classic. 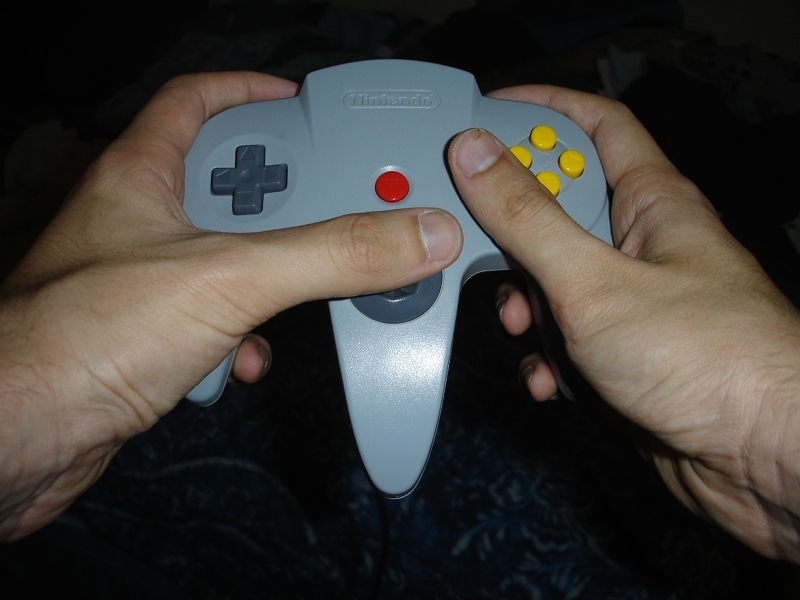 Once the N64 Classic launches, and presuming Nintendo doesn't change anything drastically, I think a lot of people are going to experience firsthand just how wrong they are about how bad they've accused the N64 controller of being in recent times. And, if it's an option and they try playing a game using the dual controller mode (where they can hold a controller in each hand via the center prong and use both analog sticks like just like on a modern dual analog controller)--GoldenEye uses such a control scheme--they'll see it's even pretty great for dual analog control too (all things being relative). The N64 controller is a lot more comfortable, a lot more versatile, and just a lot cooler than most people give it due credit for these days. @crifer Actually, I play through Mario 64, Pokémon Snap, OoT and Majora’s Mask probably once a year. Visuals are outdated, no question. The controls aren’t as tight as their more modern counterparts. But they are still, for the most part, highly playable. I can’t speak for other games. Haven’t played Goldeneye in probably 20 years. So I’m not sure if those titles are the exceptions. I like to believe that if I had the chance to play No Mercy for example, it would probably play just as good as it did back in the day. Great News!! Just a shame about games by Rare being left out. @Haywired - Any of the THQ wrestling games would be great, it doesn’t matter what the name is, but the bottom line is; they have no chance. No chance in... I’m done. Oh it's true. It's damn true. It would never... EEEEEEEVEEEERR... happen. The first console I ever owned, but the library will be glaringly incomplete without the Rare titles. No Banjo, no Goldeneye, no Perfect Dark, no Diddy Kong Racing (though I wouldn't expect Nintendo to go for this over Mario Kart 64 even though it's a better game), no Jet Force Gemini, no Blast Corps, it really adds up. I do expect DK64 to be included, but although I do like it, it's really odd to have that one be their sole representative. @Haywired - Never A-gaaaaain. Haha, good stuff. Jericho is an all time great. Have a nice day. I really hope an N64 Classic Edition (N64 Mini) is indeed on the way, with sufficient stock for people to actually pre-order right from the get-go. Rather than have to wait a year like the NES and SNES Classics. @Claude Yeah, if Nintendo can't find a way to get all the big Rare games on the N64 Classic (you've just got to have stuff like GoldenEye, Perfect Dark, Conker's Bad Fur Day, Banjo Kazooie, Killer Instinct Gold, and Diddy Kong Racing) then I personally think it might as well not really bother. Unless of course it puts the games on the system that it can, probably mostly the first party Nintendo games, and some hacker finds a really easy way to let us add all the others (where they work perfectly, just like the hacked games on NES/SNES Classic do). I guess I could live with that--but it really should be Nintendo putting all the best games on there officially. @AlternateButtons with a healthy amount of games comes a very unhealthy amount of price. @olrodlegacy There will be no Perfect Dark or Banjo as these are Rare IP and they are owned by Microsoft. The could release Diddy Kong Racing but Banjo and Conker would need removed from the game somehow. Maybe there will be some Acclaim games on there as they were very prolific, but putting Turok on there will put an age rating on the sales. @fadedcolors I would rather have them forever via HDMI instead of renting them temporarily. Plus, it won't have Rare games. With a classic we can hack it and add them. Goldeneye will never be released again. I have a Raspberry Pi 3B+ which I've been using to play emulators via RetroPie, which works pretty good, but the graphics are a little laggy due to the lack of a GPU. I bet a hypothetical N64 Mini would make a good all around emulation machine since it'll probably have to include a GPU, if folks can get homebrew running on it (though a GPU will make it more expensive, naturally). @impurekind @Claude @BANJO @penamiguel92 @gauthieryannick Which is why having them tied to online is dumb. We can easily hack an N64 mini and add our favorite games. I cannot wait to play Goldeneye and PD on a modern tv and not have it look horrible. @impurekind Agreed. O never got the unergonomic complaints. I think they don't know how to hold them properly. Dual shock is terrible because of how small it is, so idk what theyre talking about. Never tried dual sticks though. @dkxcalibur I hear you but the two Zelda games are just as playable now as they were when they were released. Mario 64 is still a lot of fun. These games have timeless design that is still used today. Your jaw won't be on the floor like it was when they were released 20 years ago, but no game for its time will ever have the same impact as OoT or M64 did when they were first released as there never has been such a significant jump from console generation as there was from 2D to 3D. There will have to be many third party games on this to make up for the lack of Rare games. Maybe Castlevania, Turok (although maybe too adult), Forsaken, Goemon. Extreme G, Rayman 2, Beetle Adventure Racing, Resident Evil 2, Silicon Valley, Body Harvest, Mischief Makers, Bangai-O And how about some 64DD games that were never released in the West. They need to have some Acclaim games as no third party supported them like Acclaim did. NLife has already written perfectly solid articles about why this won’t happen. Personally I think it’s far more plausible that this is for N64 controllers for the Switch. You know, like those NES ones that just started pre-orders and allegedly have a simple icon on the Switch UI for them. Hence the trademark for the NES controller...?!? @SimplyCinnamon53 people genuinely got blisters on their palms playing Mario Party 1. @NintendoFan4Lyf with 1 bonus game, Yoshi's Story. Unlocked after you collect 40 stars in Mario 64. @CupidStunt I get it, and I appreciate how ground breaking those game plus some of the game that were on the PlayStation were when they came out but for some reason I find a lot of those games to not aged as well as some older games from the NES & SNES age. I think it's because a lot of those 3D games were a first of their kind and the controls were still being perfected. It's not that they are bad, I just don't see myself buying this like I did the other two Classic Systems. I agree about the Zelda games but I would rather play the upgraded 3DS versions of both of those games. Same with Star Fox. I've said this before and I'll say it again. Can we just skip the N64 Classic and jump to a GameCube classic? Because the GameCube is the better system and deserves another chance to shine. Plus compare the two libraries. The GameCube blows the N64 out of the water. @edgedino Hey I'd be fine with that. I'd pay $100 to have access Mario 64, Banjo Kazooie and Golden Eye in one place. I get that a lot of N64 games have not aged well. However, I don't think all NES or SNES games have aged well, either. I remember being so excited about playing NES games on the 3DS when the Ambassador's Program went through only to find out a lot of them are just mini-games by today's standards, and those that are not are very frustrating to play because of lack of saving mechanisms. Say what you will about N64 games, but I think they actually aged much better than that! I'd rather play Paper Mario, Ocarina of Time, Majora's Mask, Kirby 64, etc. than any game on the NES and SNES. The SNES has some great games, but they don't compare to those IMO. @olrodlegacy I like your list, but will never happen due to licensing. Personally, the minis are great and everything but there's no reason why Nintendo cant sell the snes classic edition bundle on the switch and then follow suit with the n64 classic edition bundle. I'm sure theyd still sell even more of the bundles be it physical(mini console) or digital(on switch) when selling both. You'll be fair to switch owners and sell the units to people who don't have a switch but want it out of nostalgia. I'd happily pay 50-60$ for an snes bundle right now on my switch. It makes sense to me but maybe I'm in the minority. I'm really hoping for it to be true. Already got the NES and SNES mini. All is left is the N64 and GC. @olrodlegacy Mario Party will not be on any N64 Classic. It has never been re-released, as the stick-twirling minigames led to a class-action injury lawsuit, and Nintendo had to give out protective gloves. Mario Party 2 will probably make it, though. Just make sure it has Pilotwings 64, Nintendo. I miss that game. It’d be nice if it came loaded with all our favourite N64 games but it’ll be hackable. Just add Rogue Squadron, Goldeneye etc yourself. Without Rare on board I don't see how this will be worth getting as most of the better games on N64 were mostly Rare developed titles. Honestly, since some N64 never made it via virtual console, I'm hoping for this quite a bit. Because like with the last two Classic systems, we will be able to add our own games to it as well. I'll finally be able to play Banjo Kazooie and Jet Force Gemini (and finish it for once...), not to mention play a few other games that I grew up with that probably won't make it as an official N64 Classic game. Hopefully the stick doesn’t easily break on these controllers like the original. Well they have two months to surprise drop and beat Sony's Classic from the same gen. I think it will be part of the online subscription service. I don't see Nintendo putting out a physical N64 with 4 controller ports, good luck finding 4 controllers if they do, plus that will be expensive. Seriously the controller alone is twice as big as any of the other Classic Consoles. Come to think of it if they did release a physical controller there would be a freaking run on them every time they were in stock. N64 control sticks wear out and parts are becoming harder to find every year. I'd buy 4 brand new Nintendo made N64 controllers right now if I could. As others have said, without the Rare titles, it may not be worth doing as you're leaving out half the N64's defining titles. I can put one together, but it would include some of the more obscure titles like Tetrisphere. Not sure if anyone would buy an N64 mini for that(though I would if I didn't already own it). Diddy Kong Racing and GoldenEye and Banjo and Jet Force Gemini would be fantastic. Good mix with some 3rd parties thrown in. Other 3rd party options include Winback, Shadowman or Turok 2. I was gonna suggest this was for the Switch Online, but it looks like 30 people beat me to it! @aaronsullivan Unfortunately, I doubt Microsoft will let it happen(although if they did it would be awesome). Goldeneye will never see re-release anywhere due to its licence. No N64 Mini. N64 Classic collection on Switch please! Then give us an N64 style controller. I don't have enough Switch controllers yet! No, I am serious. I don't like the mini consoles. @Caryslan The gamecube mini will never happen. Nothing in the $100 price range can emulate this thing. It's too powerful. @AlternateButtons which is why it would be sold out on day 1. A N64 mini is mostly surely coming, but between licensing issues and how badly early 3D games have aged (as opposed to the late 16 bits pixel games from the SuperNES) I can’t see this becoming the kind of hit that the NES and SuperNES mini were. Same with the PlayStation mini... early 3D games feel too old and clunky now. If there's gonna be Rare games on this thing Banjo and Goldeneye are the most likely. I can't see them putting Conker and Perfect Dark on it due to them having an M rating. We can have a new PS1 VS Nintendo 64 takedown. PS1 won only cause of better storage options or were other factors at play? @AlternateButtons I'm with you on this except I did buy the NES and SNES Classics (both are largely available at local retailers now), but the N64 Classic is what I had dreamed would happen. I'd say the other strong possibility here is that some SNES and N64 titles could be coming to the Switch Online service in the near future (by the end of the year) possibly with their own wireless controllers. Time will tell, but the second preorders go live on an N64 Classic I am there. @baller98 Sorry I don't have that, it's just a picture I found on the internet. Apologies for the confusion. GoldenEye sold 8 million copies. Only 3 other titles did that sort of volume in the N64's history: Mario 64, Mario Kart 64 and Zelda OoT. Whether or not Nintendo manage to get GoldenEye on the inevitable N64 Classic remains to be seen, but it would be madness to think they've ignored it, deemed it too difficult, and simply ruled it out without putting in some significant effort to make it happen. If Nintendo picked up the phone to Microsoft regarding it, I firmly believe Microsoft would be open to the idea and proactive in the discussion. The problem lies with Nintendo. They need to "give" a little with the "take"... that probably means allowing Microsoft to publish that X360 remake fans were desperate to play. (It's a win/win for a fan!) Would Nintendo walk away from it? I believe it's 50/50. So, beyond the realms of possibility that we see GoldenEye on a N64 Classic and then a release of the remake on both Xbox and Switch in the future? We will see. No-one has the rights to Bond video games at the moment. As far as I can tell, that means this would be Nintendo and Microsoft striking a deal, and then a license fee being paid. As it's a re-release of an existing product, the license fee would not be prohibitive at all. GoldenEye is still looking at 50/50 at best I'd say, but I do not believe it should be written off completely as seems to be the case in most comments/ articles. Of course, if a deal is struck... then I expect Banjo Kazooie and Diddy Kong Racing (both in the Top 10 best sellers) to come too. Banjo Kazooie to guest appear in Smash Bros Ultimate? Now that would be a big enough reason to delay the announcement of the N64 Classic console, wouldn't it? Games I'd like to see, since I didn't see them mentioned here- WCW vs nWo Revenge, and WWF No Mercy. I would love to see those, but probably too many licencing hurdles to jump through, I'd imagine. Let's just hope it doesn't take the N64 mini 2 years to launch after the PS1 mini. I do wonder just how awful these emulations would look. I just looked that up, because I though toyu were making a joke! Does sound like Sony are doing it right though, with the games announced so far. Which I personally always thought were pretty self evident to be honest. I wouldn't get my hopes up so easily. Patents are re-made and re-newed super often for copyright reasons. If I had a penny for every time this happened and nothing came out of it I would be a millionare. Although an N64 classic is highly possible, this probably has no relation. I would rather it on the Switch..but will see.